Index > News > Warm up party in Ludwigsburg and other news! Warm up party in Ludwigsburg and other news! 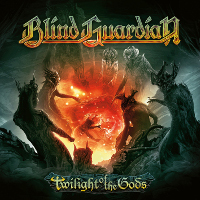 In celebration of the kick-off of the German tour the Rockfabrik Ludwigsburg will be having a Blind Guardian Warm Up Party on September 30th. The whole band will be there and there will also be some nice prizes to win. All the details are here. The band was also interviewed by the German TV channel RTL for talking about their participation for Sacred 2 and their great positions in the German charts ! 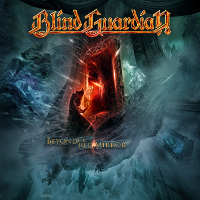 Check it out here : Blind Guardian on german TV (skip ahead to 14:45 mark for the interview). The meet and great contest deadline was extended to September 29th. And, finally, the band has attained the highest first-week sales numbers in the United States in the history of their existence. With sales of over 4 500 units of their tenth studio album, At the Edge Of Time, they secured the #1 position on the Billboard Heatseekers chart and also debuted at #108 on the Billboard Top 200 chart! Hansi participated in the album "Strings To A Web" of Rage.